If you’ve ever heard the saying, “you get what you pay for,” then you can probably understand that this phrase is far-reaching in terms of what it applies to. We would definitely agree that this is almost always true. From car washes to dog food to restaurants, we can usually assume that higher-quality products and establishments are going to cost more. When the subject is education, the same concepts usually apply. Public schools are free for the citizens of the United States and while we’re thankful to be in a country with access to free education, the free services are definitely not the best option. With overcrowded classroom sizes, old and outdated textbooks, underpaid teachers, and curricula that is taught as a one-size-fits-all, a public school is usually a far cry from an ideal educational institution. The cost of private educations can be pricey. With little access to government funding, private schools tend to rely more heavily on fundraising, donations, grants, and funds from tuition payments. Lake Montessori in Leesburg is certainly no exception. We have a responsibility to the children of our community to make sure that they’re given the best education possible, and unfortunately, that endeavor isn’t cheap. While Lake Montessori does have to charge tuition from our students, we also want our school to be a place that people can afford to send their children to. We would hate for money, or the lack thereof, to be the reason that a child can’t have access to the best education. For that reason, we offer a variety of scholarships to our Leesburg students. Don’t close the chapter on a Montessori education for your child without first looking into the scholarships that we have available. Want more information? Below is a list of quality scholarships and some information about each one. We want to help you find a way to make Lake Montessori your child’s educational home away from home. Step Up For Students empowers parents to pursue and participate in the most appropriate learning options for their child or children, with an emphasis on families who lack the financial resources to afford these options. By pursuing this mission, we help public education fulfill the promise of equal opportunity. Step Up For Students is a state-approved, nonprofit scholarship funding organization that helps administer two scholarships for Florida schoolchildren: the Florida Tax Credit Scholarship Program (FTC) for lower-income families and the Gardiner Scholarship for children with certain special needs. To begin the process of applying for the Step Up Scholarship, click here. The Gardiner Scholarship Program provides students who are eligible with a scholarship that can be used to purchase approved services or products for the purpose of designing a customized educational program for the child. Scholarships can be used for specialized services such as speech or occupational therapy, instructional materials, tuition for an eligible private school, contributions to a college prepaid account, and more. The program is administered directly by state-approved nonprofit scholarship funding organizations. For more information, contact A.A.A. 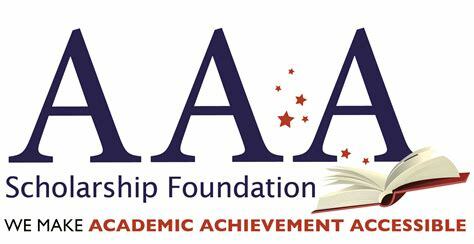 Scholarship Foundation by calling 888-707-2465 or by emailing info@aaascholarships.org. Florida’s school choice programs allow parents to choose the best educational setting for their child. The McKay Scholarship Program for Students with Disabilities provided over 31,000 Florida students with special needs the opportunity to attend a participating private school during the 2016-17 school year. 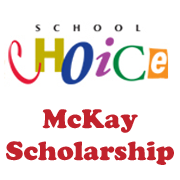 The McKay Scholarship Program also offers parents a choice for public school. A parent of an eligible special needs student may choose to transfer the student to another public school. For more information about the McKay scholarship, contact the IEPC team at the Florida Department of Education today! Knowing that our form of education, the Montessori Method, is superior to all others means that we want to do everything that we can to help Leesburg children, middle schoolers, and high school students attend our first-rate school. If you’ve looked into the above scholarships and you’re still not sure how you’ll afford Lake Montessori school, reach out to our Leesburg school today. 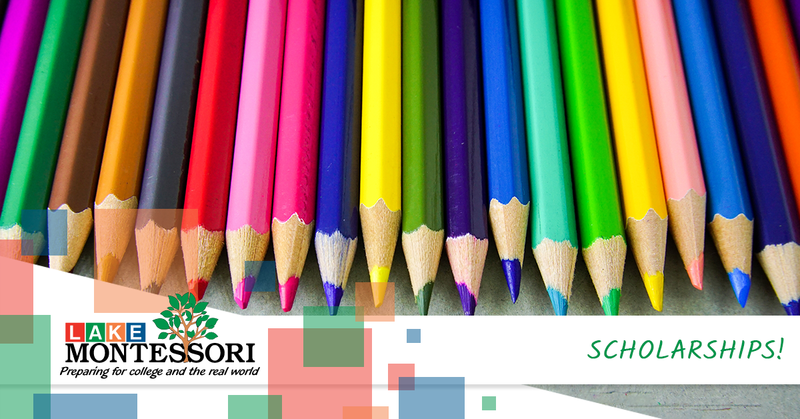 We want to work with you to get your child the best education available. This program allows anyone who purchases a motor vehicle to contribute the sales tax from their vehicle purchase to fund private school scholarships. Hope scholarships are specifically designed for students who have faced bullying or physical attacks in school. The program was enacted in 2018, has already started funding, and is starting to award scholarships for the 2018-19 school year. As the first national scholarship program for the victims of bullying and physical abuse in schools, the Hope Scholarship is getting attention from administrators and law-makers alike. No child should have to endure bullying in an educational setting. We’re thankful to be supporting this scholarship and we’d love to talk with you more about it if you have questions! For more information about the Florida Hope Scholarship, and to find out if your child is eligible, contact Educational Choice today!